When I used to do Foodie Penpals, many people would yearn for a jar of Speculoos (or Biscoff) paste in their parcel, and would covet jars sent to others. Since I live in the Netherlands, I have ready access to a supply from Lotus (original and best), if I should want any, which I mostly don’t. But, posting jars is expensive, especially since the smallest size they make is 400 g, so I decided to make my own. People make their own nut butters and choc-nut butters, so it couldn’t be that hard, right? So I thought, until I actually looked at the ingredients. It is mostly oil – palm, and rapeseed; sugar of one kind or another; rice and soya flours; and stabilisers. I won’t buy palm oil, so I would really struggle to get the consistency right. Last summer, I happened to read this recipe for Specunana Brownies. I won’t be making these, because I can’t eat bananas. But, Camilla’s photo with the brownies and ice cream really inspired me. I knew then that the best way to give speculoos to others without having to pay excess postage would be to make a speculoos ice cream, and write down the recipe for you all to enjoy. I have entire notebooks (and a draft blog post) where I scribble down ideas that I have. If I live to be a million, I won’t live long enough to make them all, but it doesn’t stop me. Every so often, I go back over them, and I came across this one again recently. I had some egg yolks going spare, so I decided to give speculoos ice cream a go. 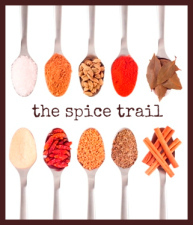 David Lebovitz makes a cinnamon ice cream using whole spices. I like this approach, and so I based my own recipe on as much whole spice as I could, whilst remaining true to the speculaas spice. As David suggests, you also have the option of adding more ground speculaas spice mix before you freeze it. If you aren’t near the Netherlands around the beginning of December, then you can always make up the spice mix I have used for my Kruidnoten. I found that with the amounts I used, I didn’t need it, but the strength of spice can vary hugely. I waited only until the custard had cooled, because I was happy with the taste – anything eaten cold will lose flavour, so the original base must have real depth. You can leave it overnight to be sure, if you prefer. If you do need to add some ground spice, add half a teaspoon at a time, mix well (there may be lumps), and taste before adding more. 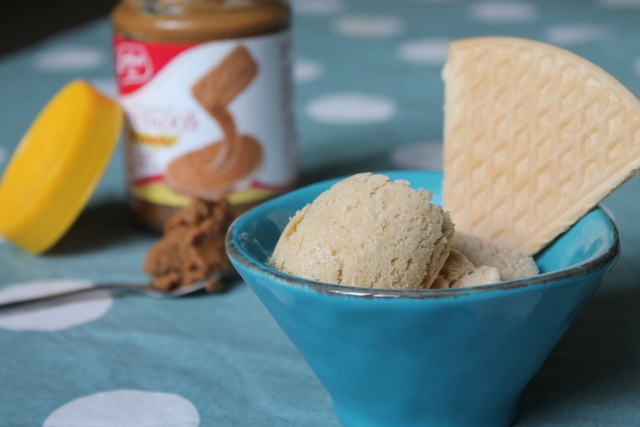 Another main ingredient in the Lotus speculoos spread is brown sugar. I knew it would give the ice cream its classic colour, but I didn’t want it to be the dominant flavour. So I settled for a couple of tablespoons, which worked perfectly. I don’t have an ice cream machine, so I made mine by hand. It will be quicker, but just as good if you use a machine, I’m sure. This ice cream is a smooth and as tasty as the original spread, just colder. So, instead of having Speculoos/ Biscoff envy, why not make your own? And since there is plenty of ginger in this recipe, I’m going to enter it for the Bangers and Mash Spice Trail. I made a handmade ice cream before, with pictures. The ice cream may be a different colour, but the steps are the same. Break up the cinnamon sticks slightly into big chunks with a pestle. Then place the milk, cream and all of the spices into a saucepan. Heat to just below boiling point. Remove from the heat, and set aside for at least half an hour to steep. Once the spices have worked their magic, strain through a fine sieve. Bring the milk back up to just under boiling point. 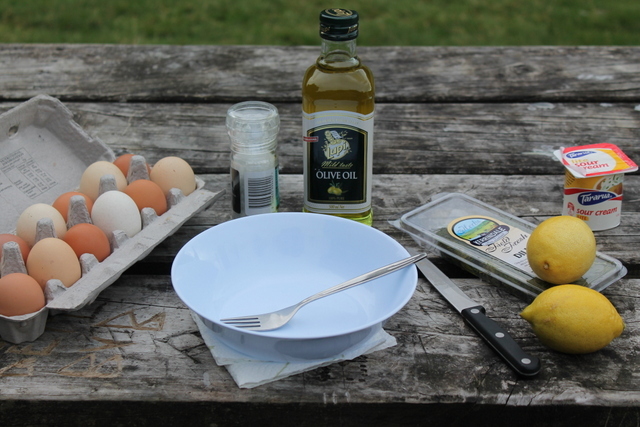 Whisk together the egg yolks and both sugars until they are light and creamy. You’ll be making a custard base for the ice cream. Put the bowl containing the eggs and sugar onto a damp cloth, so you can pour and whisk without the custard going everywhere. Very slowly, add the warm milk to the eggs and sugar, whisking all of the time. You must take your time with this stage, or the egg will scramble. Once all of the milk and egg are combined, return it to the pan. Heat gently, stirring constantly to stop the milk from catching on the bottom. Do not allow the milk to boil; again, you’ll get spicy, scrambled eggs. When the custard has thickened so that it leaves a line when you run a finger down the back of the spoon you are stirring with, it is done. Return it to the bowl you used to beat the eggs and sugar in. Now you need to cool it down quickly. Run a sink full of the coldest water you can manage. You need enough water to come most of the way up the bowl that you are using, but the water must not get into the custard, or it won’t thicken. Place the bowl of custard in the sink and stir while it cools. Taste the custard. If the flavour is already really deep, then you can proceed to freezing. If you are at all unsure, then refrigerate the custard overnight, and see how it tastes when it is much colder. 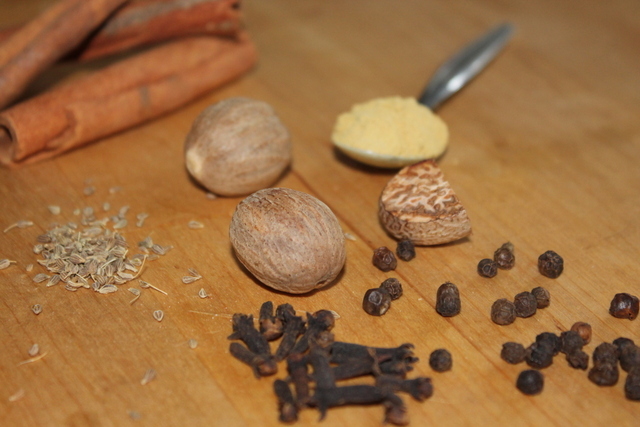 If you don’t think there is enough flavour, then by all means add some ground speculaas spice. If you need to add ground spice, then you will need to give the custard a really good whisk, to avoid lumps of spice in the mix. Pour into freezable containers with a lid on. I use recycled ice cream containers, which are perfect for the job. Put the lids on, and freeze for an hour. I always make custard with a balloon whisk, because it gives me more control, and doesn’t make the custard froth too much, which will give a weird consistency. However, I always churn the ice cream with an electric whisk, to really make smooth ice cream. Remove the ice cream into a mixing bowl, using a spatula to make sure there are no crystals left around the edges. Churn the ice cream until smooth, using the electric whisk. Return to the container, and refreeze. Repeat churning and refreezing until you have a thick, but smooth ice cream, then leave to freeze completely overnight. Remove from the freezer about 10 minutes before serving. 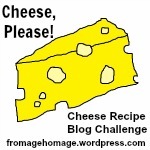 This month, I have got quite a few cheese posts on the way, inspired by the Cheese, Please! Challenge over at Fromage Homage. As soon as she announced that the challenge this month was to be fresh cheese, I knew I wanted to play. 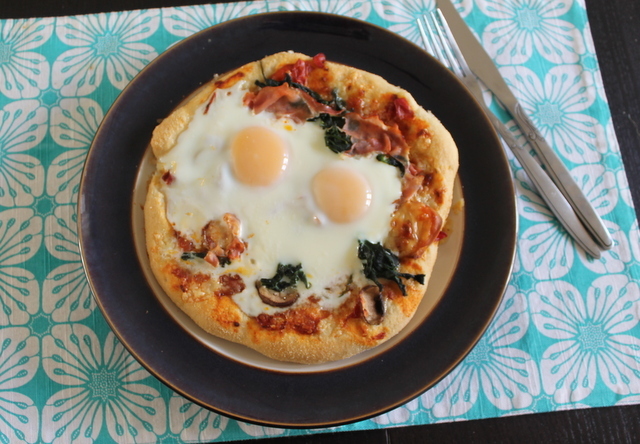 My mind was racing over the possibilities (of which, more to come), but I have a birthday party coming up and I want to let the kids make pizzas (with ingredients made from scratch, of course!). The obvious place to start on my fresh cheese odyssey is with mozzarella. 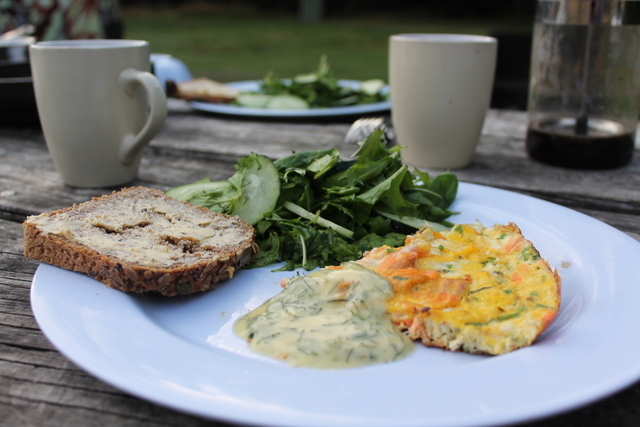 I’m probably going to enter all of my recipes in one larger round-up post at the end of the month, but I am going to share the individual recipes that I make with all the fresh cheeses too. So, we’ll start at the very beginning; a very good place to start; mozzarella, a fresh cheese with bounce! 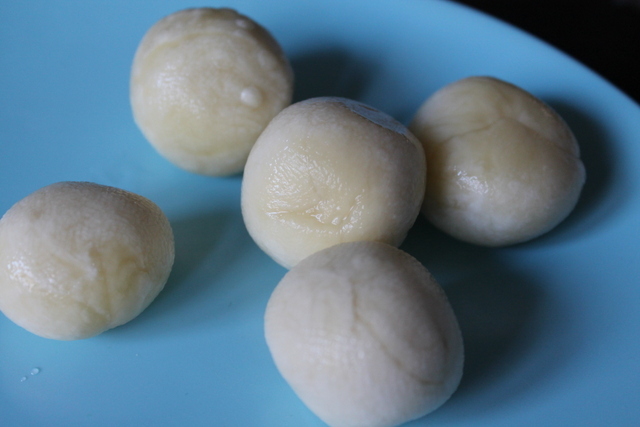 I looked around online, and decided that mozzarella from scratch can’t be that hard, can it? I quickly found a few nice recipes, which I cobbled together to come up with my techniques I share here. Most of the recipes include using a microwave, which I don’t have. Instead I have been most inspired by the Barefoot Kitchen Witch and the techniques used in this post from the New England Cheese Supply Company. 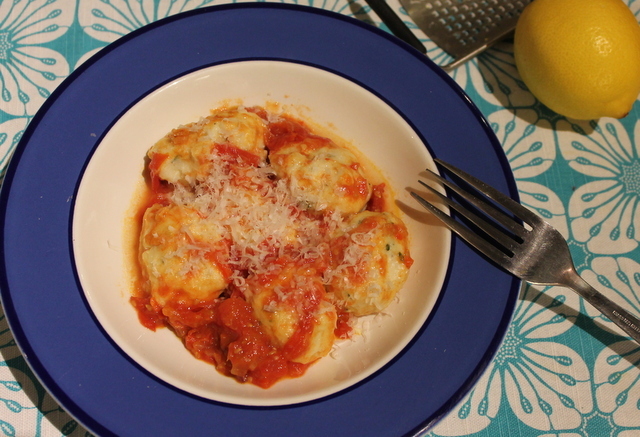 Making one’s own mozzarella counts as a fresh cheese recipe, doesn’t it? So I think it will be a great entry for Cheese, Please! And even if it is really only precursor for the actual recipes, it doesn’t matter, it was pretty simple, I had a lot of fun, and I have the softest hands I have had in ages, so that’s an added bonus! 2 l milk – you can use whole, semi skimmed, pastuerised or whatever you like really. The only milk that doesn’t work is UHT. 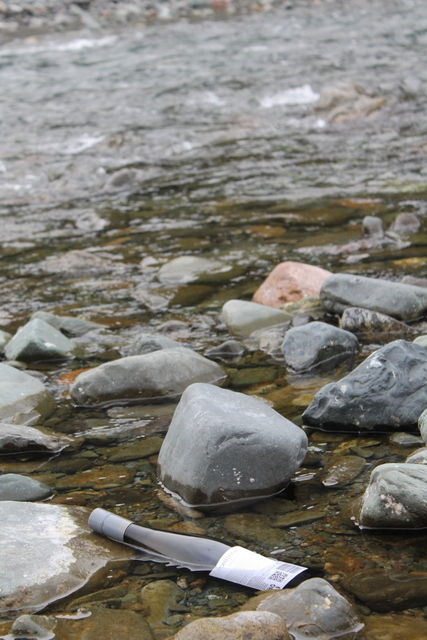 If you do not have a measuring jug that allows you to measure such small amounts of liquid, remember that 1 ml of water =1 g, so you might find it a lot easier to simply weigh the water. In the Netherlands, rennet is called stremsel, which I personally think sounds a lot nicer. The great news, whatever you call it, is that vegetarian and original rennet are widely available. My regular online brewshop stocks all varieties, as well as citric acid, which is great for me! In addition to the ingredients, it is a good idea to gather together the equipment you will need before you start. Add the milk to your saucepan, with the dissolved citric acid. 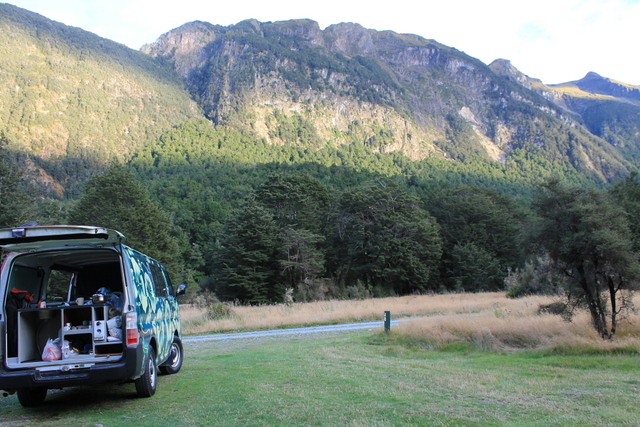 Heat gently until it gets to 32ºC. 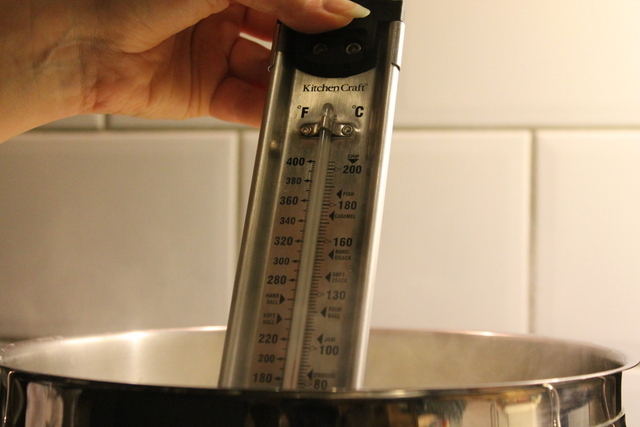 If, like me, your thermometer will not measure that low (I used my jam thermometer, which starts at 60ºC), heat very gently until your curds look like the photo above. When you stick a (clean) finger in it, it will feel cooler than you, but not that much. Add the rennet water, and heat a little bit more to 37-38 degrees. Again, if your thermometer doesn’t go that low, then use the photo above. You will not feel a temperature difference if you stick your finger in this liquid. 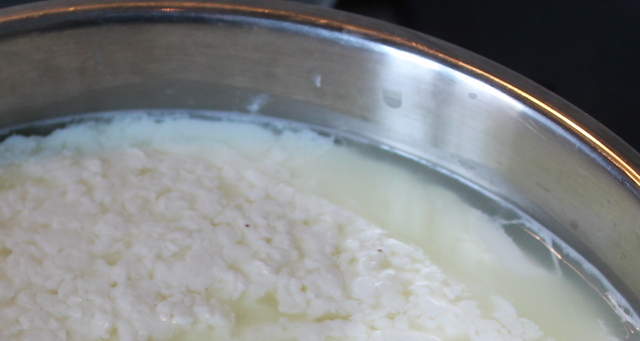 Take the curds from the heat, then allow to sit for 5 minutes or so. 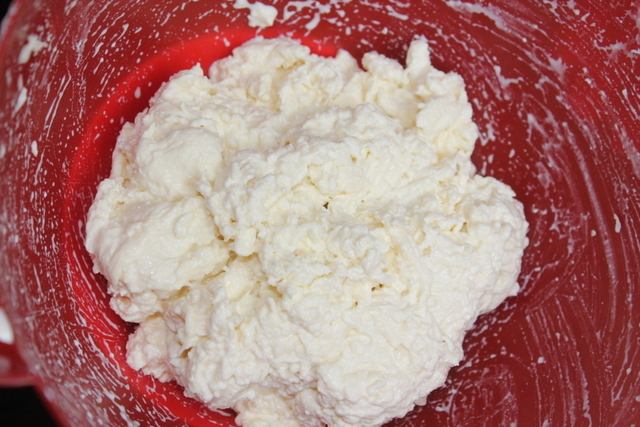 You will clearly see the separation of the curds and the whey, which will look more watery. Cut the curds crossways with a sharp knife. Line your sieve with a cheesecloth, or muslin square, and place over one of the bowls. 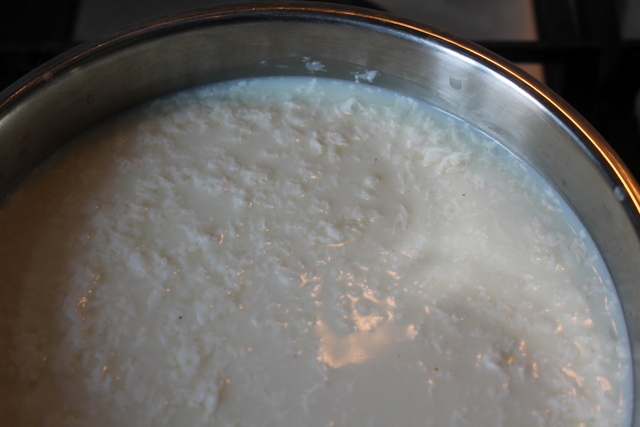 With a slotted spoon, remove the curds from the pan, and put them in the sieve. They will look quite wet, like above. 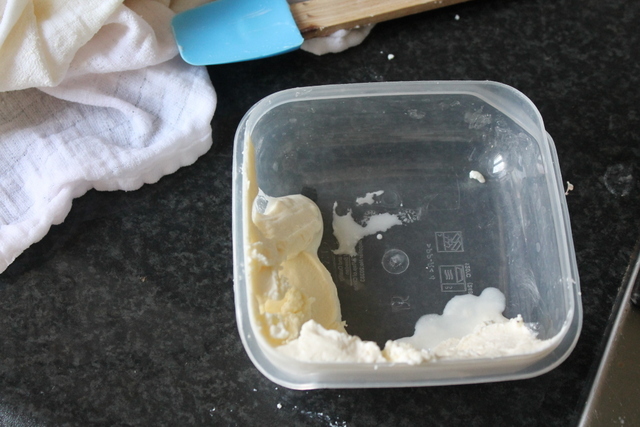 Cut and fold them over with the slotted spoon, to get rid of some more of the whey. 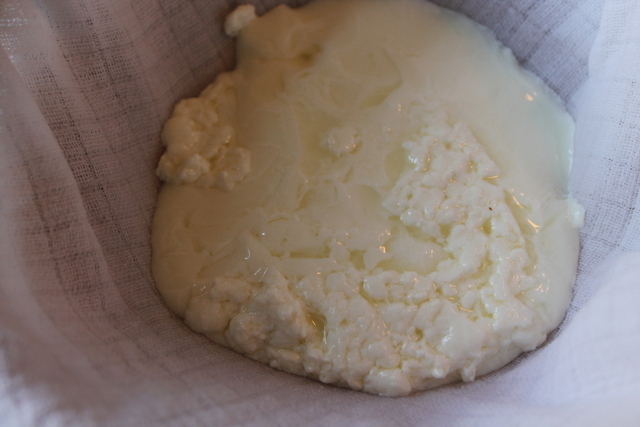 The curds will go from watery to looking much drier, and will lose quite a lot of volume. Don’t throw away the whey, it has a lot of uses, and keeps for a long time in the fridge. 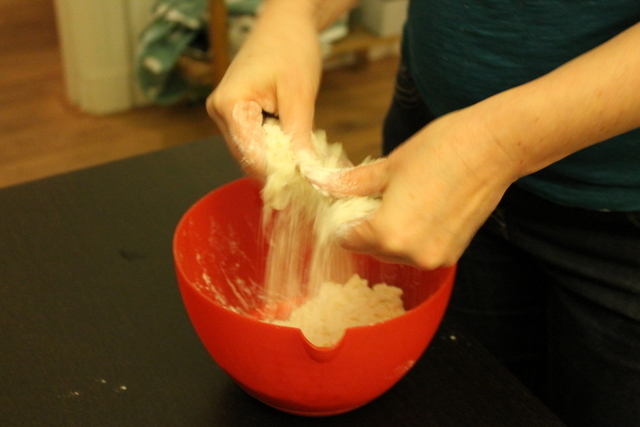 Remove the curds to a separate bowl, and knead for a little bit, until it looks a lot less lumpy. Boil enough water to allow you to sit your sieve on a third bowl, so that the sievey bit is submerged. Get a different bowl of iced water ready as well. 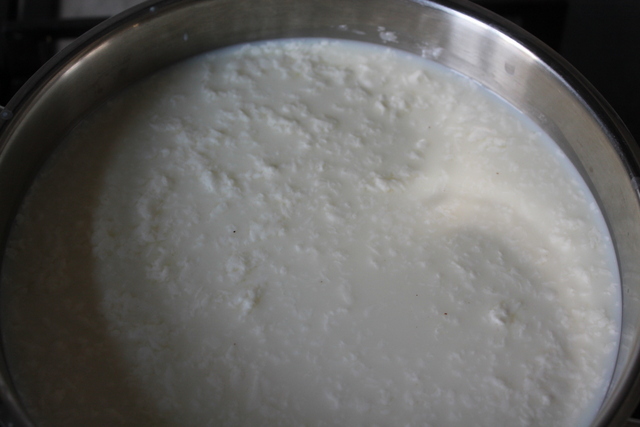 Place the curds in the sieve in the hot water, and allow them to pour, stretch and fold off the slotted spoon. I’m sorry, I didn’t get a good picture of this, because it’s pretty hard to do this and photograph yourself, and the Big Guy was at work. Anyway, it will start to get more stretchy and smoother as you go on. As the water cools, the cheese will stop stretching. Once this happens, boil a kettle again. 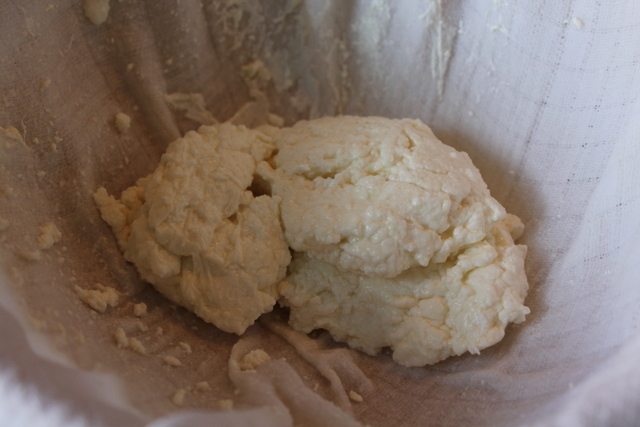 While it is boiling, remove the curds to the bowl and knead some more. At this stage, add some salt to taste, and knead to mix well. 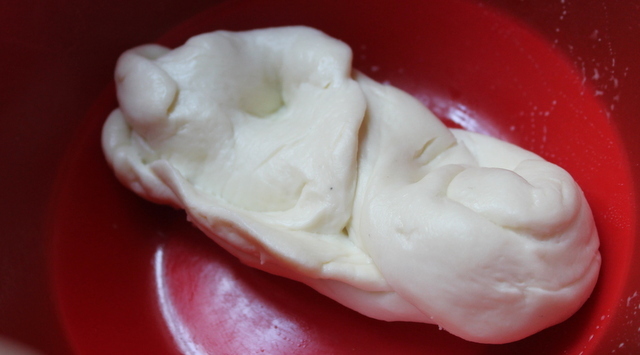 Repeat submerging in the boiled water, stretching and then kneading until you have a stretchy, pliable cheese. You can either shape this as one large ball, or divide it into smaller balls if you prefer. I found it easier to use the hot water for one final shaping. 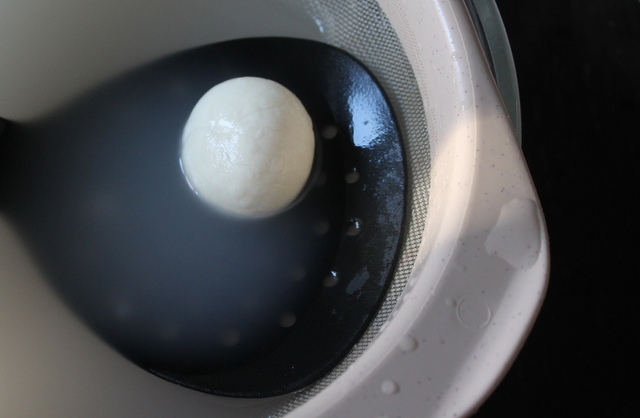 I used the sieve and the slotted spoon to roll the cheese around in the hot water to make a ball shape. Once you have shaped the cheese, submerge in iced water. 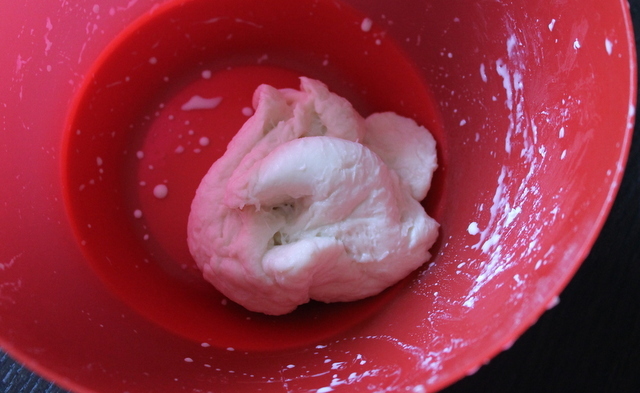 Mozzarella should be used fresh, but can be stored in briney water the fridge for up to 4 days. Today’s post is for my Brother Out-Law (since the Big Guy and I are not married, otherwise he would be my in-law!). Whenever I need a relatively simple dessert, that I can make up quickly, but that can sit in the oven while we eat a main course, I always fall back on a crumble. Good, comforting, and a great way of using up fruit if you find yourself with a glut; or if you were tempted at the market, but now they are sitting there looking sad, and you need something to use them up with. I made a pear and apple crumble for the Big Guy’s sister and her family for just such an occasion over Christmas. They asked if I would be blogging the recipe. At first, I resisted, because it is a common dessert. Except, it is a common British Dessert (and in the US, where it is called a Crisp, for reasons I am unable to fathom). It was quickly pointed out that a lot of different people read my blog, including my Swedish family, and they may not think it that common. So, I relented, and here is my version of crumble. Let’s be honest, crumble is never going to be fine dining, but it is always a great dish to have as a standby for when you need to serve up a tasty dessert. 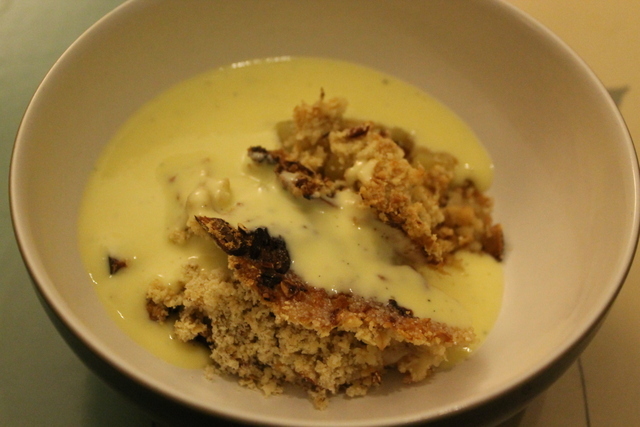 You can, and probably should, serve a crumble with ice cream, custard or pouring cream. I served this one for dessert after the Beer Can Chicken with some warm, thick custard that I made up using my usual custard methodology. This may have been served in the Netherlands, but you really can’t get more British than that. 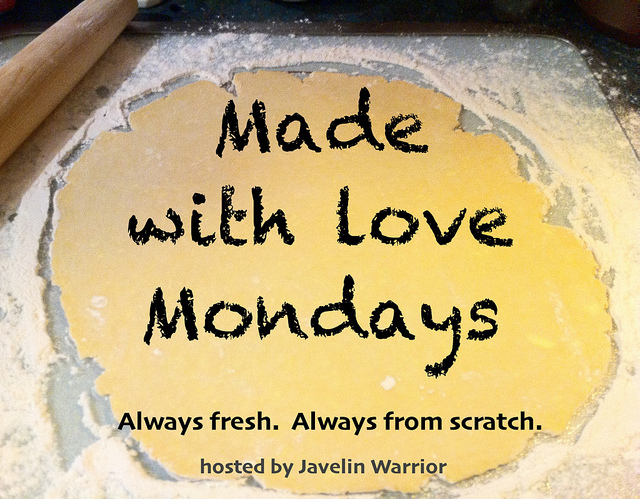 Since I always make crumble and custard from scratch, and always with a lot of love, I’m going to add this to this week’s Made with Love Mondays, hosted by Mark at Javelin Warrior. I haven’t joined this in quite a while, but I always enjoy the posts. Make the crumble mix. 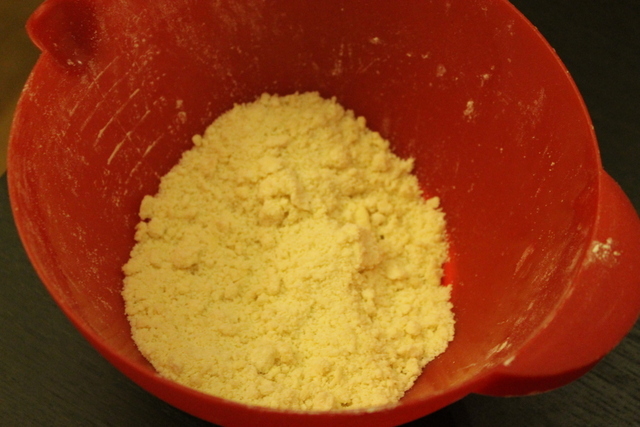 Cut the butter into small cubes, and add to the flour and then rub into the flour, using your fingers and thumbs. Keep going until they look like fine breadcrumbs. You can use rolled or cut oats in this mix, but since their inclusion is as much about texture as they are about flavour, you will need more if you use cut oats. You can also use whatever nuts you like, or leave them out altogether if you prefer. 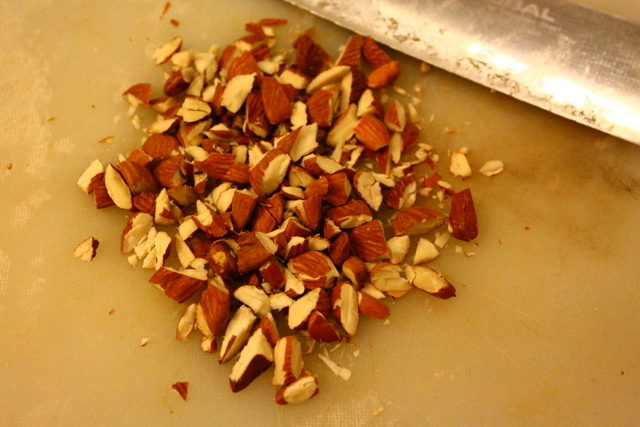 I have happily used whole almonds, blanched, or flaked, hazelnuts and macadamia nuts. I’ve also used pumpkin seeds, although these burn a bit easier than nuts. I’m confident that walnuts, pecans or brazil nuts will work just as well. They do not top my list of favourite nuts, so I rarely have them in the house. This another one of those recipes where you can play fairly fast and loose with what you add. For a real crumble you must have the flour, butter and sugar. I personally think that oats are essential, although this may be controversial in some quarters. In fact, I have also used muesli at a push, which I substituted for both the oats and the nuts. I did remove the dried grapes, because the layers you use are thin, and the currants/ raisins will burn. I dislike burnt currants, but you may be of a different opinion, in which case, use muesli and leave the dried grapes in to your heart’s desire. 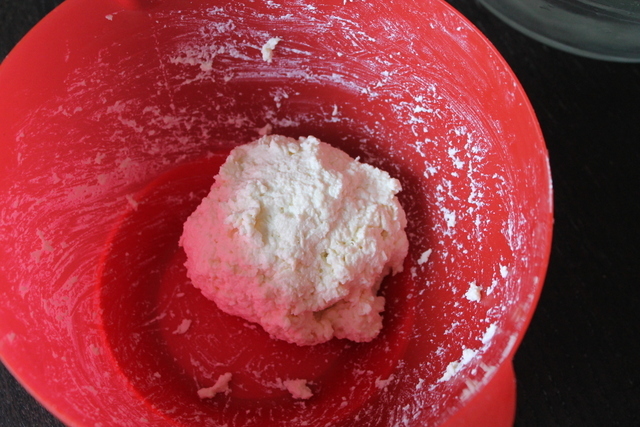 Add the rest of the ingredients to the flour and butter, except one tbsp of the sugar, and mix thoroughly. Then, grease an oven proof dish well with butter. Place large chunks of fruit across the base of the dish in a single layer. Again, it is pretty much anything goes. You can use a single fruit, like the traditional apple, or more unusual peach. You can mix it up; combinations like rhubarb and strawberry, or apple and pear work well. I have added chopped crystallised ginger, and herbs and spices. What you add is up to you. If you are adding fruits that will exude a lot of liquid, such as rhubarb, plums or peaches, then you may find stirring a tablespoon of plain flour through the fruit before you put it in the dish will help stop the juices soaking into the crumble topping, and leaving you with a steaming bowl of soggy disappointment. 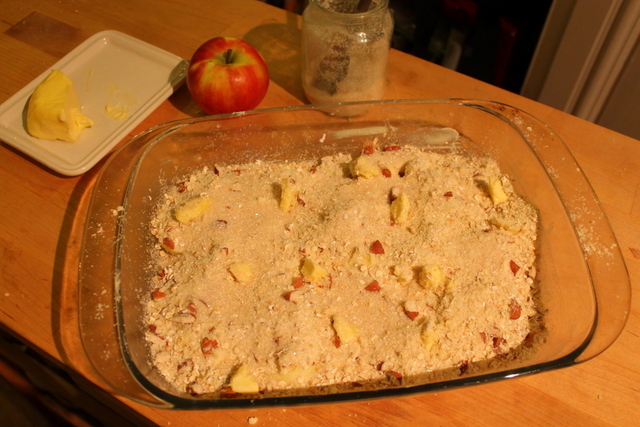 Sprinkle the crumble topping over the fruit in a thin layer. 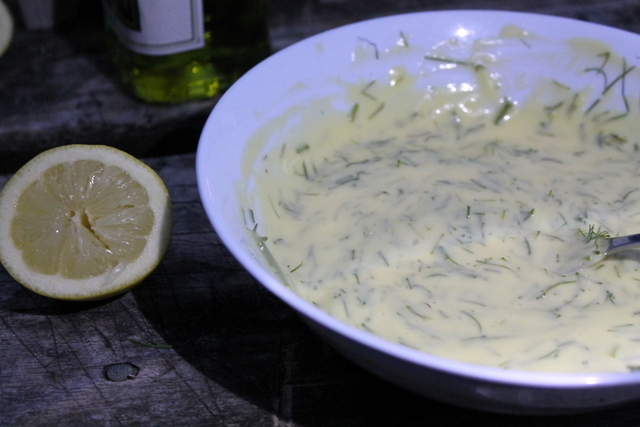 It needs to coat the fruit, but not be too thick, or it will be claggy when you come to eat it. If there is any topping leftover, don’t worry, this mixture freezes really well, and you can save it for a time when you want to make a smaller crumble – maybe one just for yourself, made in a smaller pot or ramekin. Sprinkle the remaining tablespoon of sugar over the crumble, and dot here and there with a little butter. Put in the centre of the hot oven, and bake for 30-40 minutes, or until the fruit is cooked, and topping is golden brown. If you have quick cooking fruit, cook in the oven until the fruit is done, then finish browning the topping under the grill. Beer Can Chicken and Gravy: Is This The Perfect Roast? 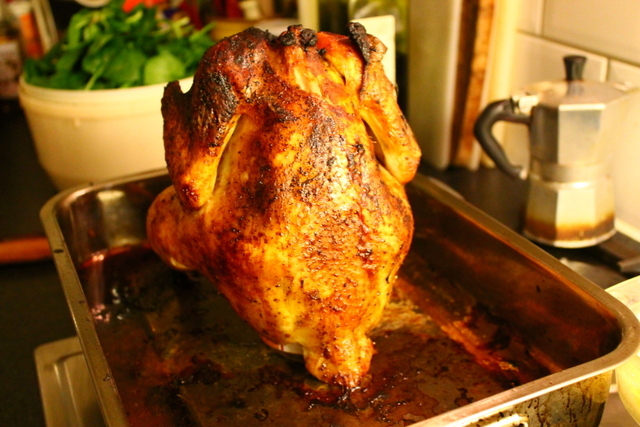 Beer Can Chicken: Tasty, Crispy-Skinned, Moist. For a while now, the internet has been going on about beer can chickens. As the name suggests, this is chicken, usually cooked over a barbecue, with a beer can inserted where the sun don’t shine. The other day, the Big Guy wanted a simple roast, and I have been thinking about giving this a go, since I saw Lisa Allen do something similar in the Great British Menu. Like me, she wasn’t going to light a barbecue just for the one dish. I am glad for this, since February in the Netherlands is the perfect time for roasting meat, but not the perfect time for barbecues. Anyway, I think that is where the similarity ends. I vaguely remembered her rubbing a marinade on the chicken, with which she used paprika and mustard, but didn’t actually look this recipe up until the chicken was roasting away quite happily. She marinated hers in beer overnight, which I didn’t. And she used pale ale, whereas I just used any old lager I found in the cupboard. Our spice rub was similar, but not identical, and she rubbed butter under the skin, which, again, I did not do. Do you know what? 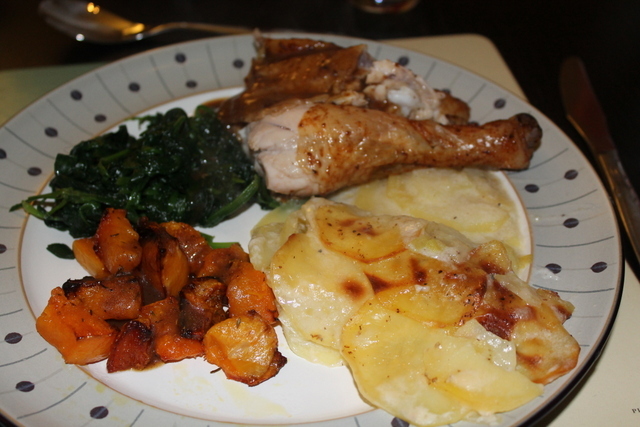 I’ve no idea how her chicken would have tasted, but this was blooming delicious. 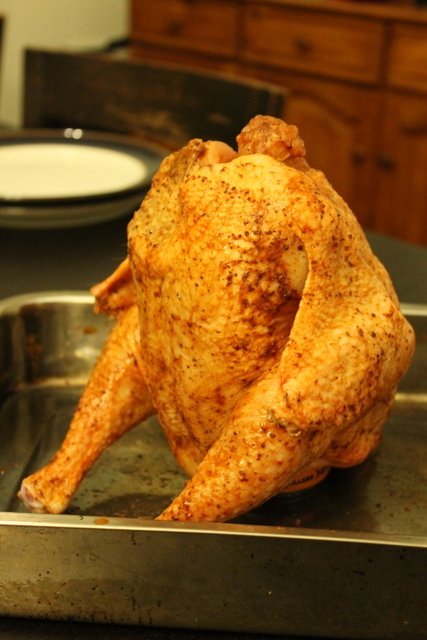 Having the bird propped upright during the cooking process actually gives a more even roast. Even with a grill to allow the meat juices to pass through, a normally-cooked chicken does not really get the same crisp to the skin, and having the legs falling away from the bird meant that I didn’t get the normal issue of the breast meat cooking before the legs did. The beer kept it moist, and helped to make the gravy really tasty. It also needs a bit less cooking time. It did just start to catch on the top, as you can see, so you do need to watch it towards the end of the cooking time, in case it, like all good conspiracy theorists, could do with a tin foil hat. Since I never cook a roast just for the Big Guy and I, I invited a newly-resident friend over, to welcome her to the Netherlands. For some reason, we started talking about gravy browning (I’ve no idea how these things come up in conversation, really). She was curious how to see how I made gravy. She said her Danish grandmother would not approve of my method, but she was impressed with the colour I managed to get, despite not using gravy browning. I agreed that I would add the recipe to this post, so that she can practice coloured gravy without the browning. I think this could be the best way to roast a bird; producing succulent meat, and crispy skin. I’m sure that this could be a controversial position, however. What do you think is the best roast? Make paste with 2 tbsp beer, the spices and the sugar. Rub into the chicken and marinate for a while. I did an hour but longer would be better, up to 4 hours would be ideal. Keep any leftover marinade for later. When the chicken has finished marinating, pierce 4-5 holes in the sides of the can, near the top, so that they are clear of the remaining liquid. This is easily achieved with an old-fashioned can opener, or corkscrew. Then place the chicken over the can, so it goes into the cavity from the leg side. As long as the chicken can stand on the can, it doesn’t matter too much how far it inserts, but it mustn’t topple over. Rub or paint a little more marinade over the chicken, and put it in the oven, standing up on the can. The chicken should stand clear of the top by at least 5 cm. After 20 minutes, baste the chicken with any leftover marinade, and the pan juices, and turn the oven down to 160°C. Roast for a total of 45 mins, to one hour, depending on the size of the bird. 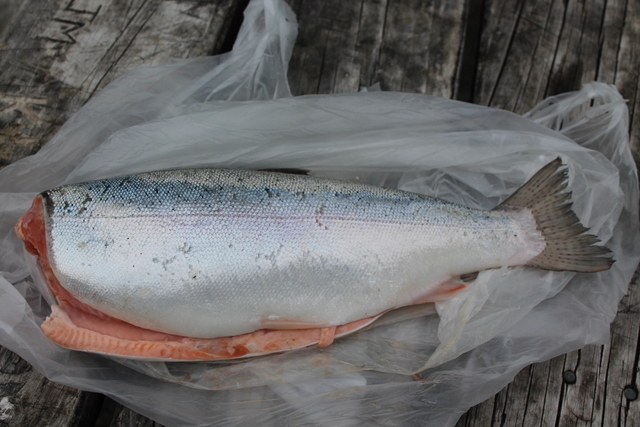 Mine was 1.6 kg, and took about 50 minutes. Test to see if it is done, by piercing the thickest part of the thigh, and seeing if the juices run clear. Once the chicken is cooked, remove the beer can carefully from the cavity. 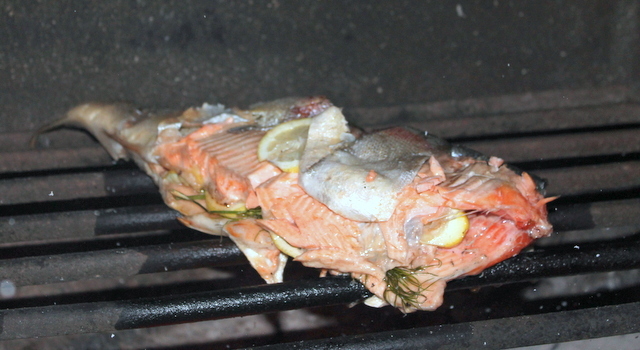 Tent it loosely with aluminium foil, not too tightly, or the chicken will continue to cook. Leave to rest for 20 minutes. While the bird is resting, get the gravy going. 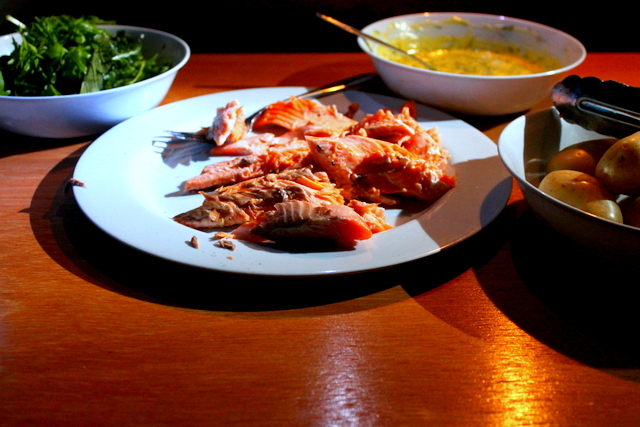 Remove most of the fat from the pan, being very careful not to pour off the precious meat juice. You will see the difference – the fat is clear and the meat juices are brown and beautiful. Once you have removed as much as you can, put the roasting pan on your hob, so that it rests over two rings. Turn on the one closest to you, on a low heat, you don’t want both on at this stage, because all the precious scrapings from the pan could burn. Add the flour over the ring that you have just turned on. Add a spoonful of the fat back to the pan, along with the flour, mix well, and keep stirring to cook the flour through until it turns a light brown. Turn on both rings of the hob on a high heat, and add the beer from the chicken cavity. Stir like crazy while the pan comes to the boil. Deglaze the pan, which will flavour and bring depth to your gravy. Once the beer is boiling, add the stock. If you prefer, you can now remove the gravy to a saucepan, which reduces the risk of things burning. Stir well, and cook over a medium heat until the gravy thickens a little. Season to taste. Serve the gravy piping hot over your well rested meat, and with the vegetables of your choice.